Birders are cultured people. You know it, I know it, and increasingly the world of eco-tourism is recognizing that. We all love birds and spending countless hours looking for and at them. But most of us also love art, music, history … and especially food. Good food. REALLY good food! And if you’re one of those many birders and considered visiting Newfoundland, then you’re in luck. St. John’s has undergone a culinary revolution in the past few years, and is quickly becoming a “foodie” destination. In fact we are now home to some of the top ranked restaurants in Canada, staffed by more than our share of award-winning chefs & sommeliers, and offering a diversity of dining experiences. And increasingly, clients and visiting birders are asking me to recommend fine restaurants and unique dining opportunities. Sure, there are still plenty of us who can (and sometimes do) survive on burgers & donuts or don’t want to stop exploring long enough for a sit-down meal, but it’s no longer the norm. Good food and comfortable restaurants are now an essential part of most tours … and why not?? If you’re going to spend your hard-earned cash to visit a far-flung place, why not take in the culture and food as well as the amazing birds?!?! 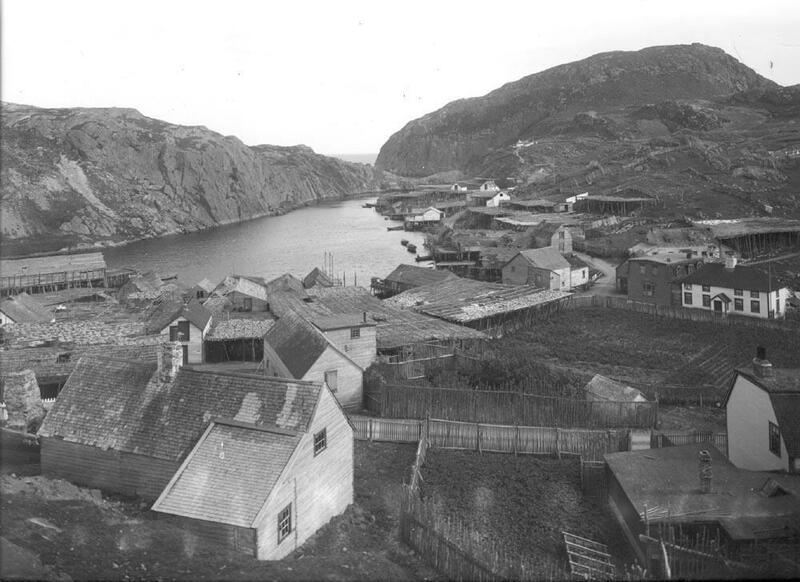 This vintage (though undated) photo shows a section of historic St. John’s, with Mallard Cottage on the right. That building, one of the oldest wooden structures in North America, is now home to a fabulous restaurant that was recently named on of the Top New Restaurants in Canada! 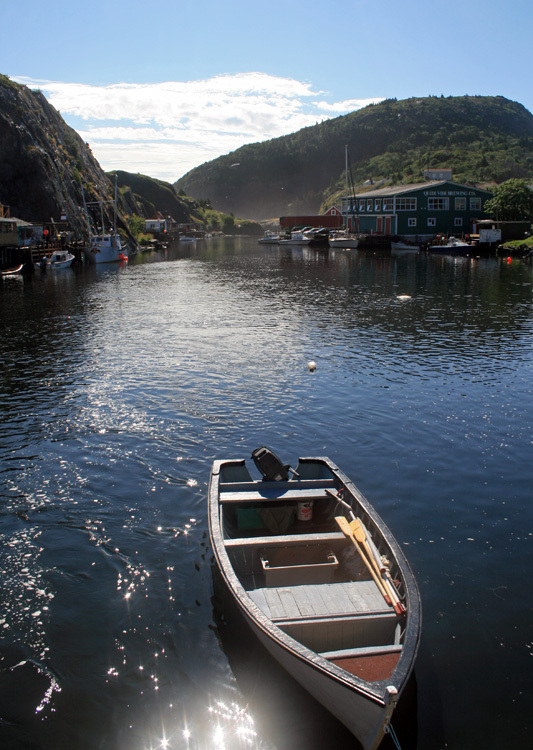 Quaint and historic, this little fishing harbour in St. John’s is also home to an award-winning microbrewery – Quidi Vidi Brewing Co (right). It was recently named one of the “Top 10 Breweries to Explore in Canada” by Cottage Life Magazine. And the culinary delights aren’t restricted to St. John’s. In summer, a visit to the wonderful Atlantic Puffin colony of Elliston and stunning cliffs of Bonavista can be followed by lunch at the Bonavista Social Club. Located in the tiny hamlet of Upper Amherst Cove, this unique restaurant grows almost all its own ingredients on site, cooks using a traditional wood-fired oven, and offers up some of the freshest & tastiest treats you can imagine. We’ve even seen icebergs and watched whales frolic right from our table — all in a town of less than 50 people! I’d love to hear people’s thoughts or interest in this type of tour … and I’d love even more to make it a reality! Newfoundland is currently one of the best food and birding destinations in Canada, so why not make the best of both worlds!! 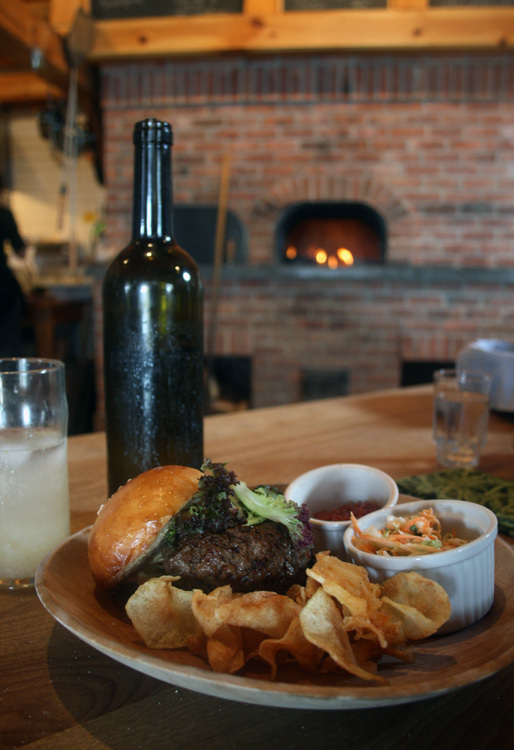 One of my favourite lunches – a mouth-watering moose burger served on homemade bread with delicious partridgeberry ketchup, garlic aioli and kettle-cooked chips at the Bonavista Social Club. Note the traditional wood-fired oven in the background! 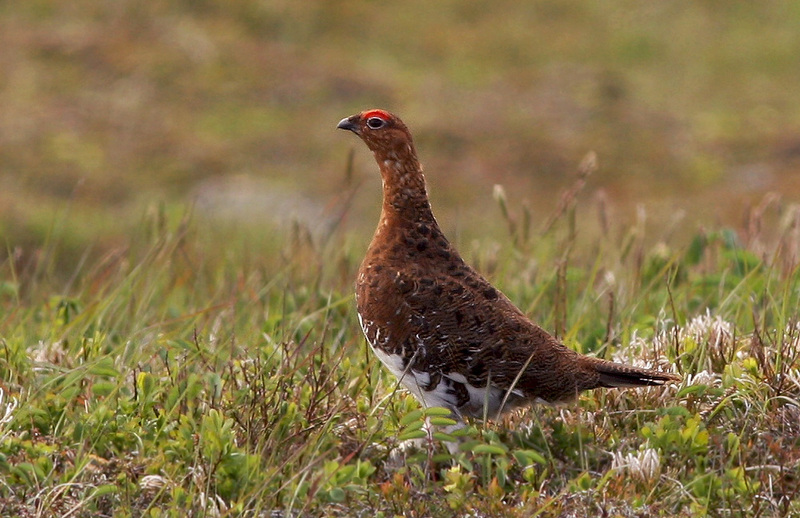 Willow Ptarmigan … just because I figured I HAD to have a bird photo in here somewhere (Not to mention, they’re delicious!). This entry was posted in Birding Tours, Newfoundland History & Culture and tagged birds, food, Newfoundland, restaurants, St. John's, Tours. Bookmark the permalink. ← We’re Having a Contest!